Love a stonking good thrill? Can’t resist an epic disaster? 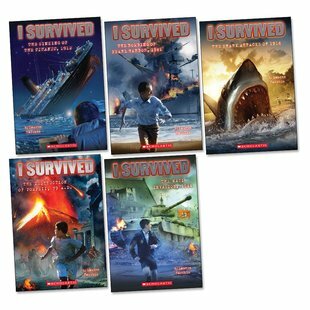 Wars, volcanoes, shark attacks: five real shockers in history are about to get well and truly survived. Get your adrenaline fix. Five brave kids. Five apocalyptic moments. One massive series of bestselling history tales from the home of My Story. Only this time we’re not talking nice, polite history. We’re talking terrible disasters! Like: the sinking of the Titanic. The eruption of Vesuvius. The Holocaust. The bombing of Pearl Harbour. Say hello to the edge of your seat.